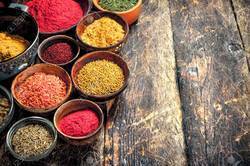 Sresta offers colour sorted spices free of aflotoxin and weed seeds. The products are also steam sterilized. We are manufacturing Mirchi Powder from fresh red chillies. Our unadulterated product is extensively used for food flavoring and coloring. These are offered in a number of varieties, colors and fragrances to meet the varied preferences of our customers. We make available a range of Indian Ground Spices, which is used in various cuisines to lend a unique taste to the dishes. 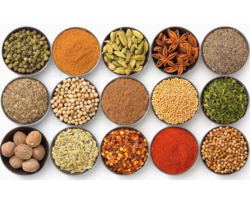 Our organization procures ground spice from manufacturers who follow hygienic methods and latest machinery to manufacture these spices. This ensures that the spices retain their genuine aroma and also meet different quality standards. We deal in many varieties that render great taste, flavour & aroma to the food. Imports: Cassia, Cinnamon, Nutmeg, Mace, Clove, Clove Stems, Star Aniseed, Black Pepper, Coriander, Greater Galanga, Cambodge etc. Exports: Fenugreek, Cumin, Coriander, Mustard, Black Cumin, Turmeric, Fennel, Anissed, Tamarind etc. Delicious dishes are made from Ground Spices, abundantly offered by our company. With real and pure contents they are distributed and are checked on numerous parameters, to eliminate any fabrication. Carefully used, it is optimally procured from authentic resources. We offer best quality Yellow Mustard Powder.